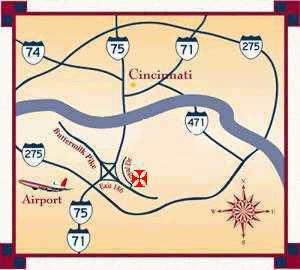 Indianapolis I-74 East to I-75 South to Exit 186 (Buttermilk Pike). Left off the Exit. Left at the 2nd light onto Royal Drive.